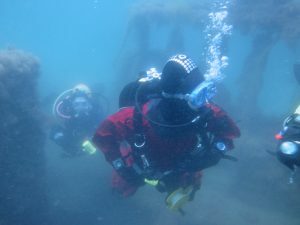 If you want to try Scuba Diving, we will be running Try Dives in the pool on 8th, 15th and 22nd October 2018 – spaces will be limited, but you can sign up here. If you are interested in training with us (beginner or continuing) you can apply here – spaces are limited and we cannot guarantee you a place. If you’d like to discuss options for training, come and have a chat with us on Thursdays after 9pm at The Panton Arms or contact DivingOfficer@cuueg.org.uk. 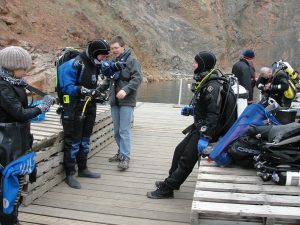 The Club is a branch of BSAC, the British Sub-Aqua Club, and has several instructors who can teach diving and skill development courses at all levels – if you’ve never dived before, want to extend your skills or even want to become an instructor we can help you.